Inspection – Inspection – Inspection, is the new term for finding bed bugs early. Humans are susceptible to bed bugs because of their need to feed on blood. It really doesn’t matter who you are, where you go, if you are rich or poor, clean or messy. Bed bugs are opportunists that will hitch a ride on anyone that can provide a blood meal for them. The biggest problem with bed bug inspections is, they are so good at hiding that human inspections alone is unmanageable. Human inspection for early stages of bed bugs is not very accurate. Matter of fact, it is estimated that human inspection alone is around 35% accurate. When first introduced, a single bed bug can find the most miniscule place to hide, which makes it almost impossible for a human to find. Now, imagine walking into a room and finding one or two bed bugs. The bed, easy chair, carpet edges, draperies, wall hangings, plant stand, nightstands, electrical and cable outlets, headboard, door or window frames? Human inspections can take hours in just one room and requires tearing apart beds, furniture, and disassembling items. And, if you can’t find the bug at question, for a professional, it isn’t legal to treat. Treating prophylactically isn’t an option because you wouldn’t know where to treat. And you certainly can’t treat everything! So, weeks may pass before evidence can be found. Meanwhile, eggs are being laid. Within 7 to 10 days they hatch and begin their journey of regular blood meals until (21-36 days), they become breeding adults. So, if you don’t find them early, within 6 weeks, you now have a whole bunch more bed bugs laying eggs. Dogs, much like police dogs used for finding drugs or bombs are trained to find the scent of live bed bugs. Within a few days of a bed bug being present, an odor builds up. 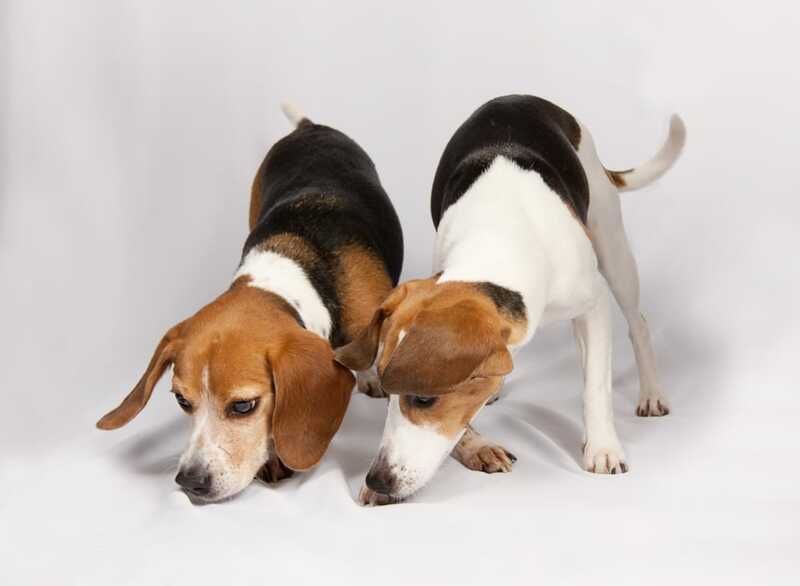 Their noses are so sensitive to live bed bug odors that they pinpoint the hidden spot within minutes. It is then, that the trained handler embarks on an inspection of that designated area. Eliminating a whole room, compared to a single designated area, makes it much easier to concentrate efforts for inspection. It’s well-known that human inspections pale in comparison to dog inspections. Mass Bed Bug Busters professionally trained dogs’ and handler have been helping people rest better by finding out whether bed bugs are present or not. People, who after taking a trip or having an overnight guest, may suspect bed bugs but can’t find them. Some people experience bites and don’t know if they have bed bugs because they can’t find evidence. Infestations take time to build. Most infestations happen because bed bugs are allowed to remain for long periods of time. If you find bed bugs early and eliminate them, you’ll not have to deal with a costly infestation down the line. We help people eliminate the possibility of having infestations. If someone is being bitten in the living room, our dogs will investigate couches or easy chairs. We methodically move them through the room to check baseboards, side tables and bookshelves. In bedrooms, they investigate beds, headboards, night stands, carpet edges and any other area suspect. If the odor of the bed bug is picked up, our dogs behavior changes alerting on the new-found odor and gets rewarded for their behavior. Dogs Work Hard for The Money! Our dogs’ love to work! And they make our job so much easier by eliminating whole room inspections to specific areas. So, if you suspect bed bugs and can’t find evidence, call us to bring in our dogs. Finding bed bugs early helps eliminate repeated service calls and costs involved in full infestation eliminations. We give you peace of mind!